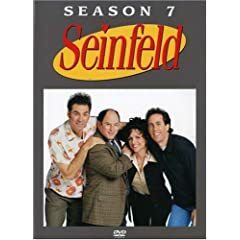 Seinfeld DVD Season 7 is now available. 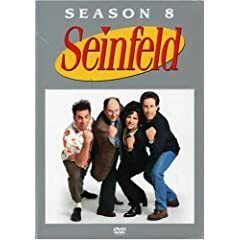 Season 7 was released on November 21st, 2006..
Seinfeld DVDs for Season 5 and 6 are now available to order. There is also a gift set that includes both Seinfeld Season 5 and Season 6 DVDs plus a handwritten script and collectible puffy shirt. Order now and save 35-40%! Order Seasons 5 and 6 together in a gift set with script and puffy shirt. The time to order these DVDs is now, especially to ensure that you receive your Seinfeld DVD Seasons 5 and 6 before Christmas. Last year, the Gift Set sold out and people had a difficult time ordering it. For more information about the Seinfeld DVDs, click here. To discuss the Seinfeld DVD release, visit the Seinfeld DVD Forum.